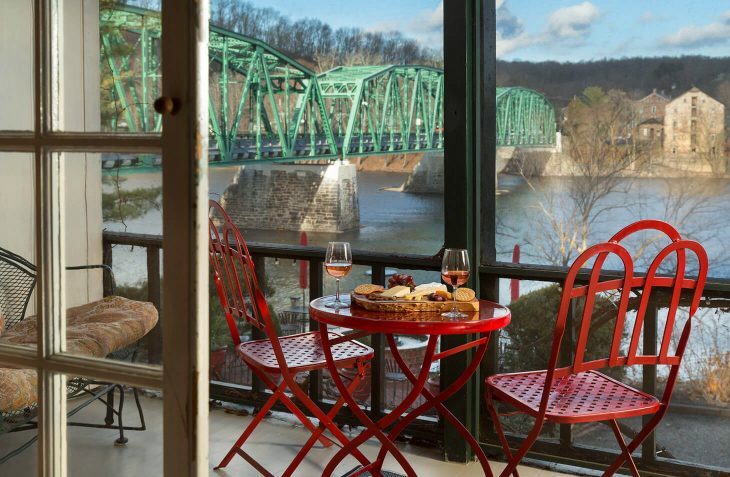 A wonderful room in our Hotel near New Hope, PA with private porch overlooking the river is one of our guests favorite rooms. 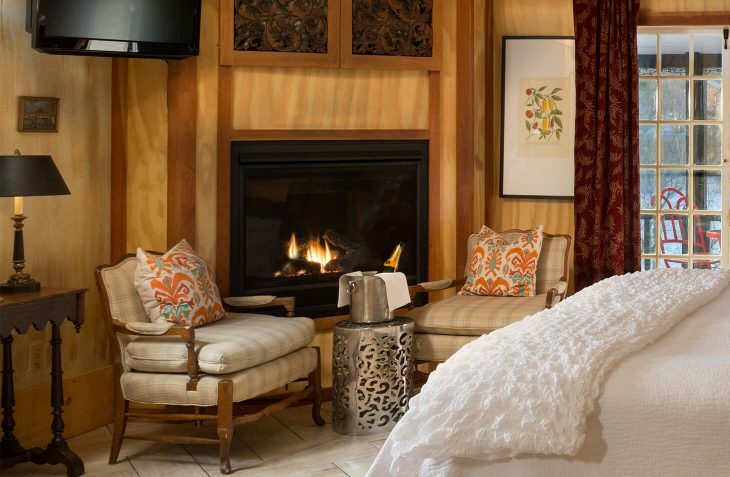 This room has a modern romantic feel with a King size bed featuring a carved antique headboard. 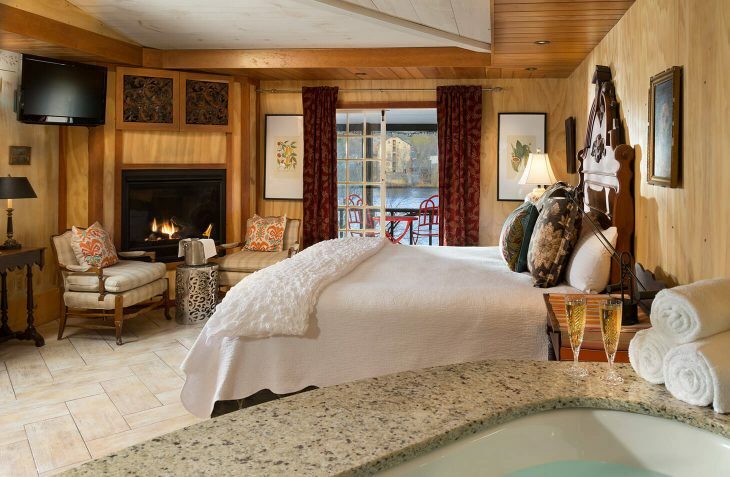 An oversized, two person heated whirlpool tub faces the river view & fireplace (operational September 15 through May 15). 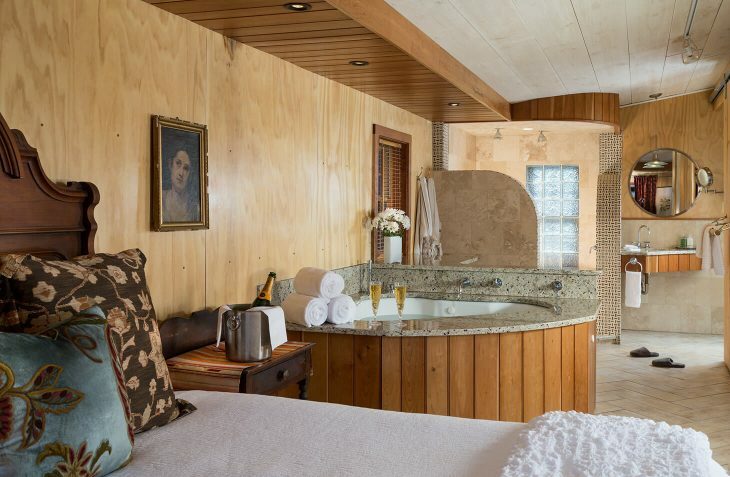 An incredible mosaic tiled 2 person open shower & custom bathroom makes this a real retreat. 32″ flat panel TV & DVD, radiant heated floors, gas fireplace, refrigerator, coffee maker & individually controlled heat & A/C… Whats your ESCAPE plan? 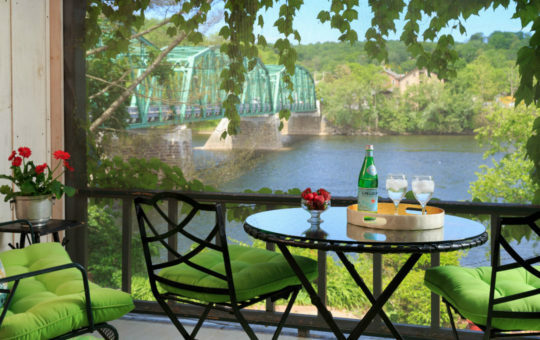 Find your perfect room in our New Hope inn and plan your getaway today. Fresh flower bouquet with a love note, homemade chocolate covered strawberries, bottle of Prosecco, breakfast in bed, and late check-out (noon). 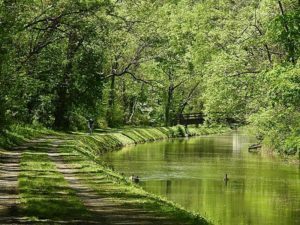 Find the perfect itinerary for a 1 night getaway or a week long staycation.